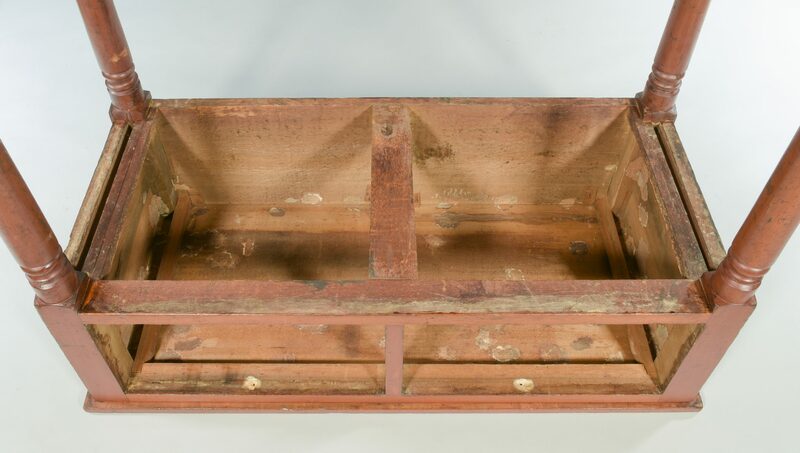 East Tennessee slab or huntboard, found in Hawkins County, possibly Burgner school. 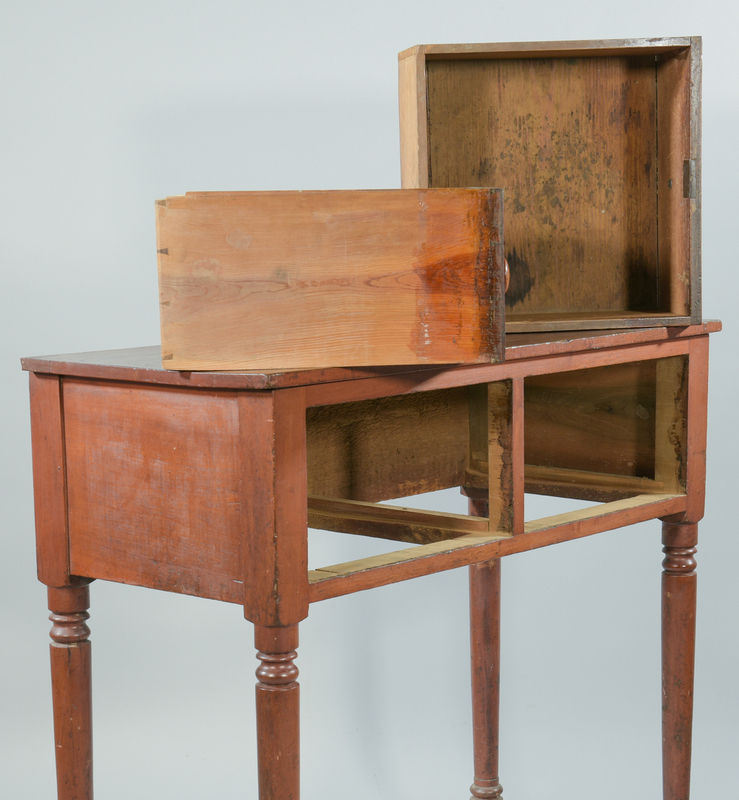 Case red stained poplar, yellow pine secondary. 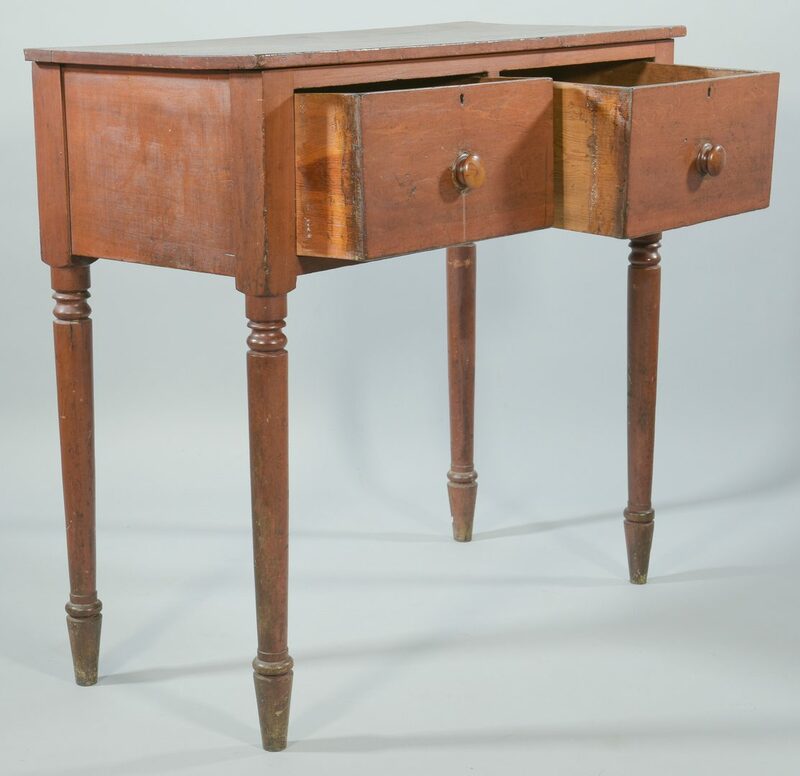 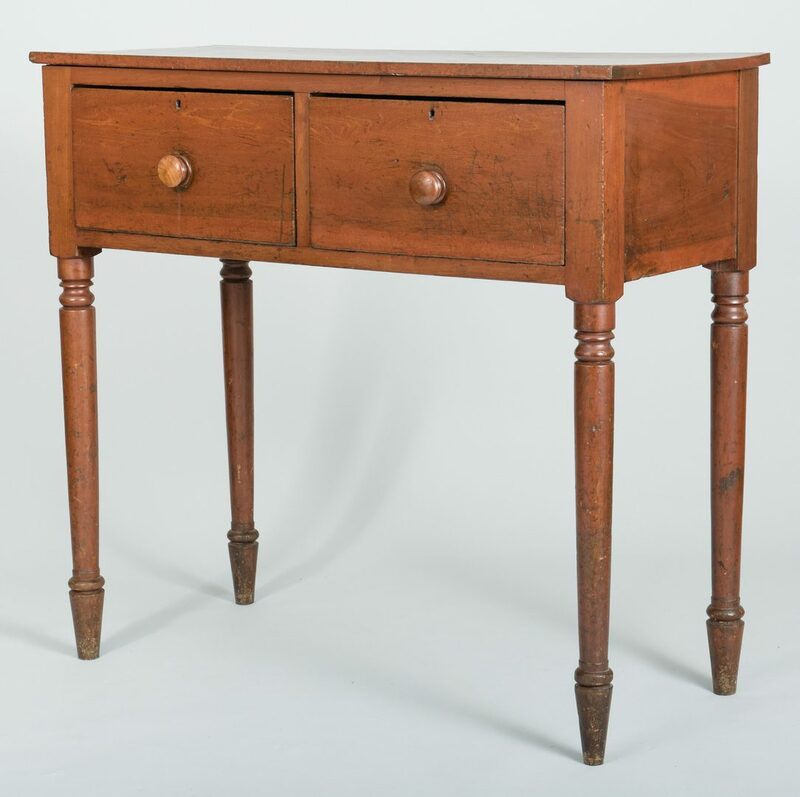 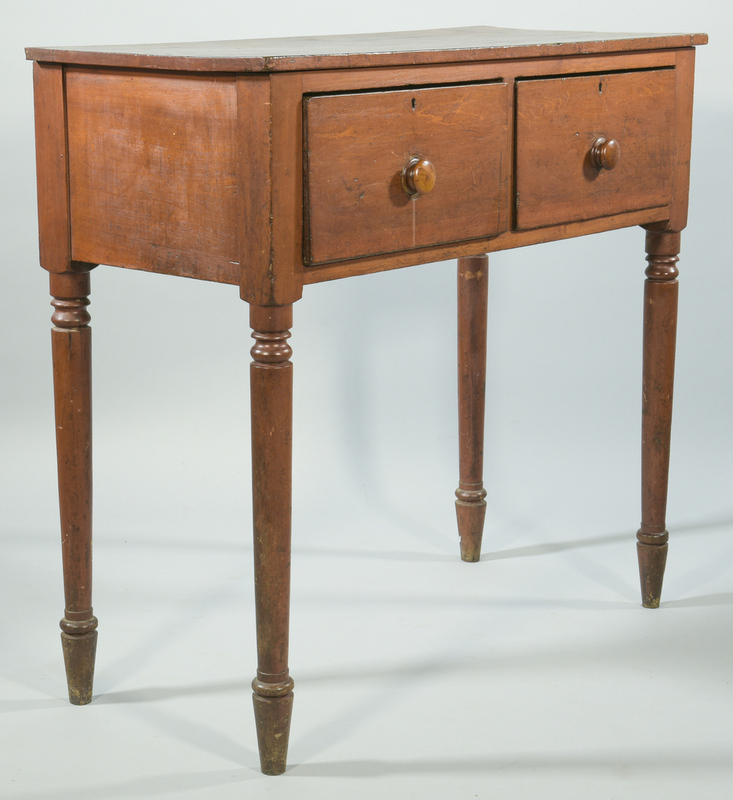 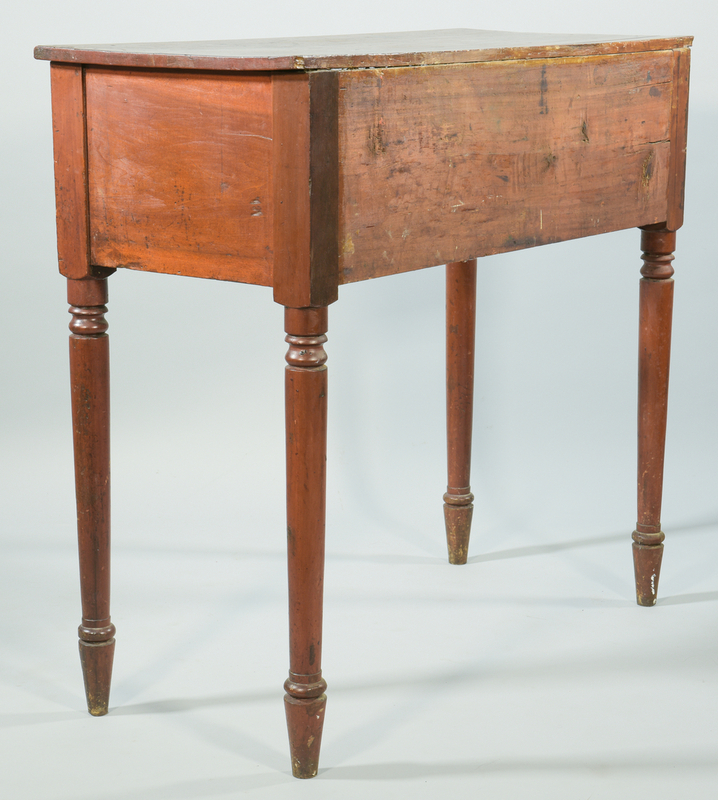 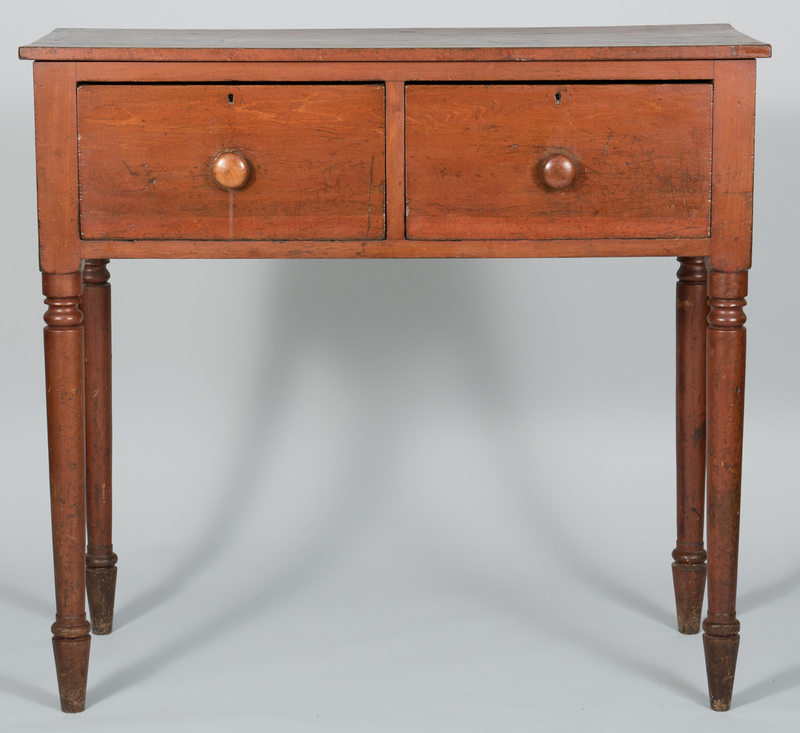 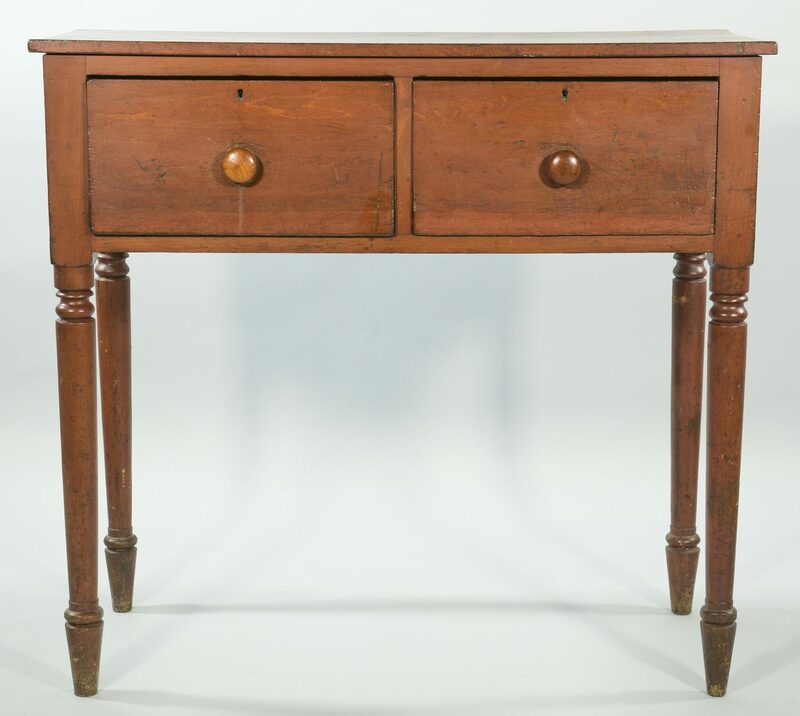 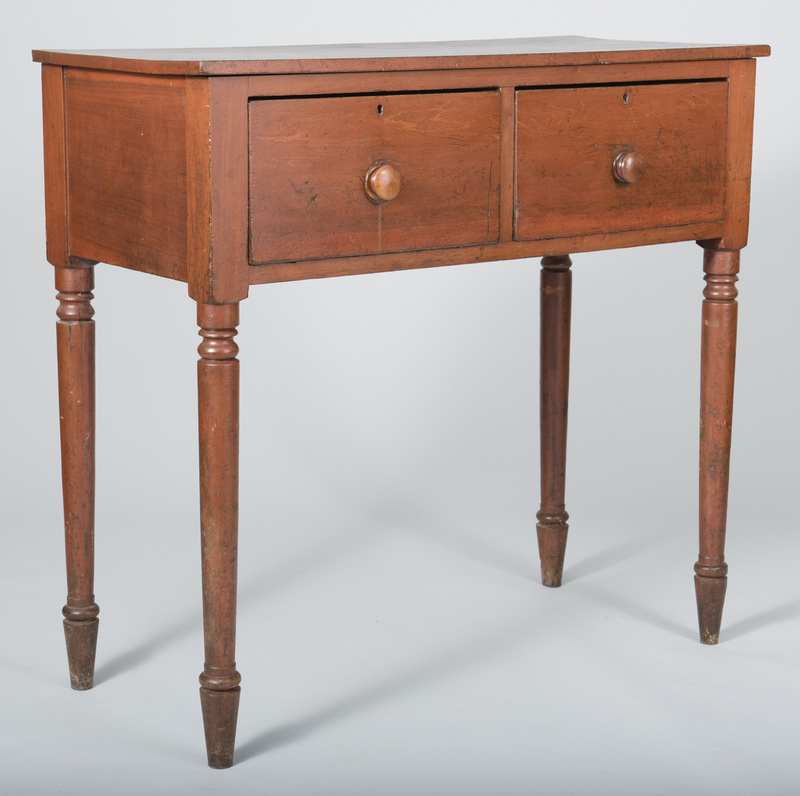 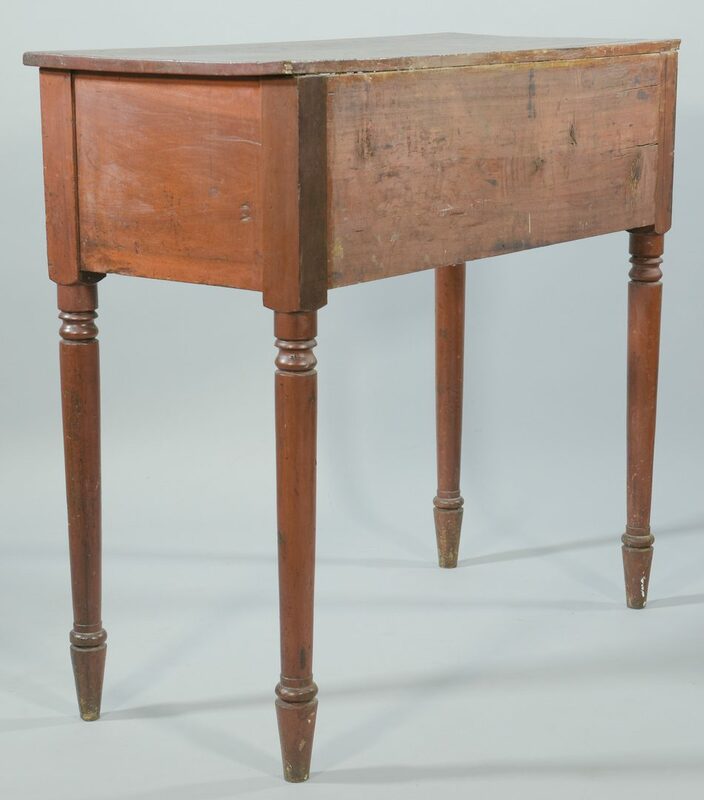 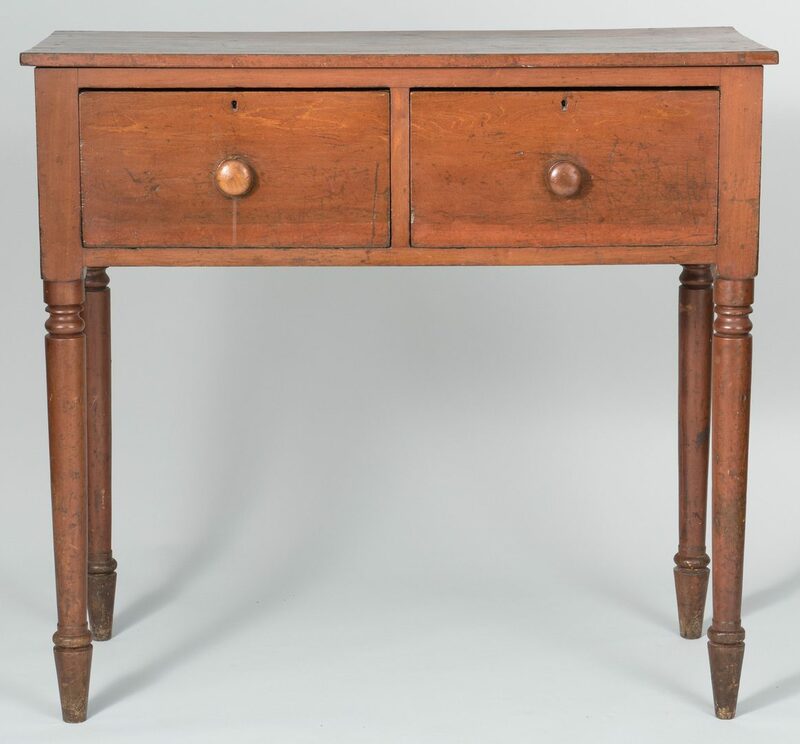 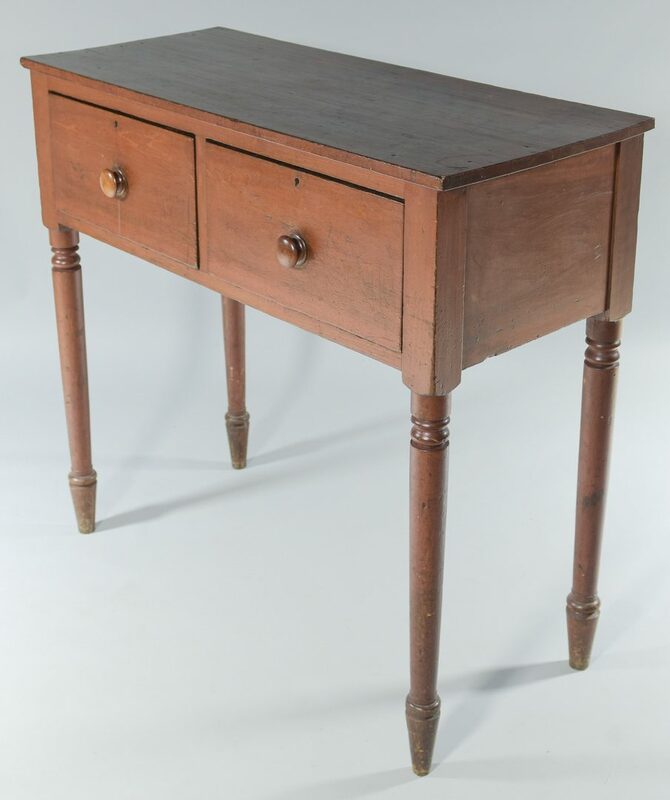 Comprised of two large dovetailed drawers over tall ring turned and tapered legs ending in tapered spiked feet. 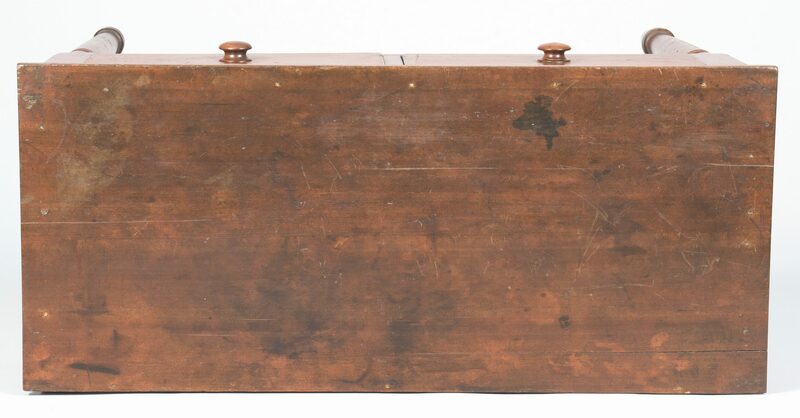 Locks appear to be original, pulls are likely older replacements. 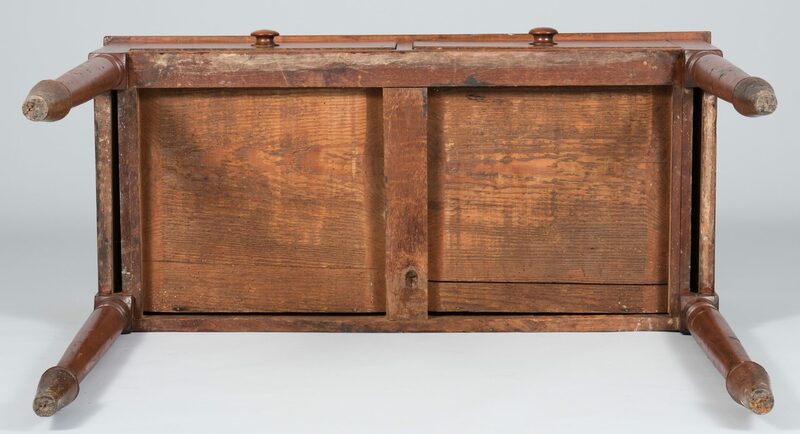 43 3/4" H x 47" W x 21 1/4" D. Circa 1830. 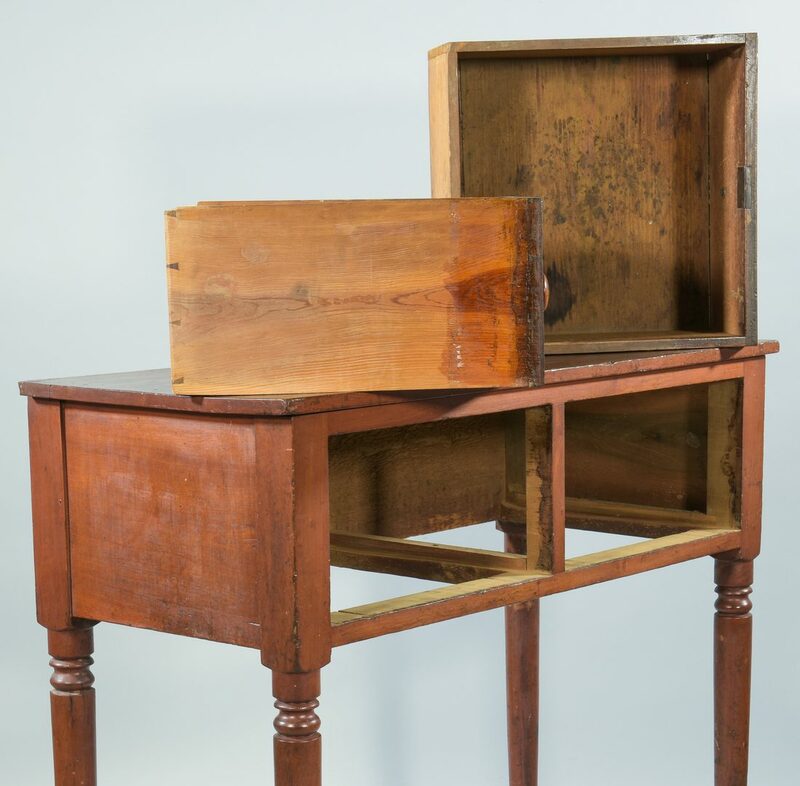 Provenance: Collection of Mary Jo Case, Kingsport, TN. 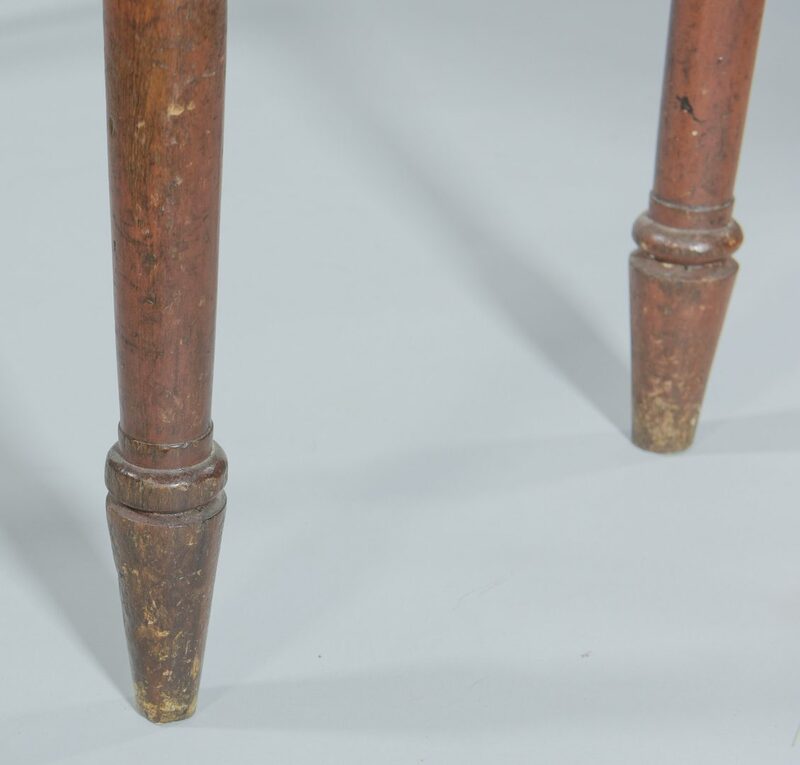 CONDITION: Older refinish. 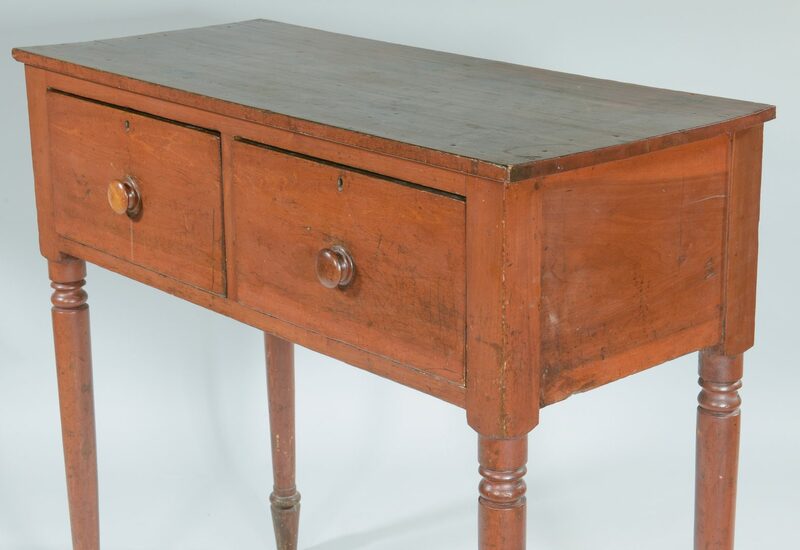 Scattered general wear, scratching and stains to top.